Longest river in Australia – Australia is a sovereign country located in Australia continent. It also have region in the island of Tasmania and numerous smaller islands. With 7,692,024 km squares area, Australia is the sixth largest country in the world by area and categorized as developed country. It is a federal country consist of 6 states and 2 major mainland territories. There are numerous river in Australia. Because much of Australia’s interior is arid, the low average annual rainfall means interior rivers are often dry and lakes empty. 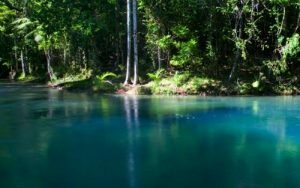 The headwaters of some waterways are located in tropical regions where summer rains create a high rate of discharge. Flood events drastically alter the dry environment in which the ecology of central Australia has had to adapt to the boom and bustcycle. 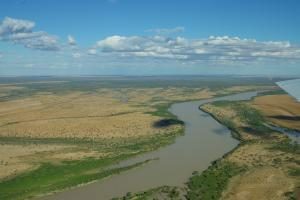 The largest river systems in Australia are Murray-Darling Basin and Lake Eyre Basin, which consist many rivers. Surface water is generally lacking in the Western Plateau, although there are several major rivers in Australia’s west and north region. Majority of longest river of Australia located in east and south region in Australia, specifically in three states such as New South Wales, Queensland and South Australia. What is the longet river in Australia? Here are top 10 Australia’s longest river by length. 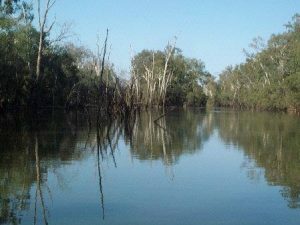 This list contain list of Australia river with the longest flowing area along with its states that the river flow through. Murray River is Australia’s longest river. Total length of Murray River is 2,508 kilometers or 1,476 miles. 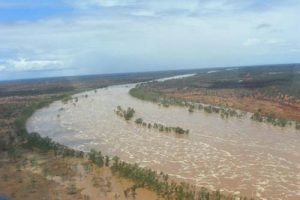 Murray River rises in the Australian Alps, draining the western side of Australia’s highest mountains and then meanders across Australia’s inland plains, forming border between two states – New South Wales and Victoria – and also flow into South Australia. The mouth of River Murray is near Goolwa in South Australia. Murrumbidgee River is the second longest river in Australia with total length is 1,485 kilometers or 923 miles. The word Murrumbudgee means ‘big water’ in the Wiradjuri language, one of the local Aboriginal languages. This river is a major tributary of the Murray River and flow through the Australian state of New South Wales and the Australian Capital Territory. 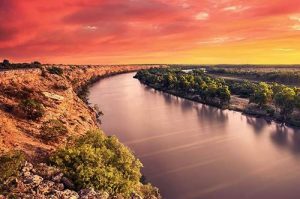 Darling River is the third longest river of Australia, measuring 1,472 kilometers or 915 miles. It flows from its source in northern New South Wales to its confluence with the Murray River at Wentworth, New South Wales. The river has a high salt content and declining water quality. The health of the river is very poor, with overuse of its water, pollution and low quality. 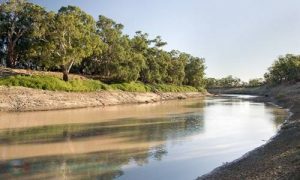 The fourth longest river in Australia is Lachlan River (1,448 kilometers). 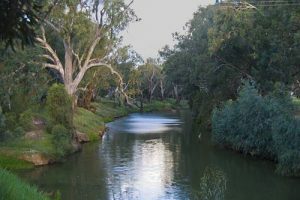 This river is an intermittent river that is part of the Murrumbidgee catchment within the Murray-Darling basin. It located in the Southern Tablelands, Central West and Riverina regions in states of New South Wales. It source is Great Divide Ranger in east of Gunning and flows to Murrumbidgee River near Oxley. 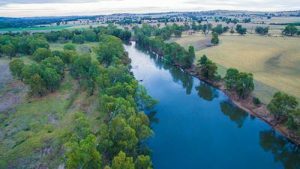 Warrego River is the fifth longest river of the Australia, measuring 1,380 kilometers or 857 miles. It is located in the south west of Queensland and in the Orana region of New South Wales. The Warrego River is northernmost tributary of the Darling River. The source of Warrego River is from Mount Ka Ka Mundi, Carnarvon Range and flow through to Darling River near Bourke, New South Wales. The Cooper Creek is one of the Australia’s longest river with 1,300 kilometers or 808 miles length. Sometimes it is known as the Barcoo River. It is flows through two states in Australia – Queensland and South Australia. The flow of the creek depends on monsoonal rains falling months earlier and many hundreds of kilometres away in eastern Queensland. 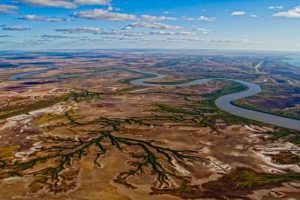 The seventh longest river in Australia is Paroo River, measuring 1,210 kilometers or 752 miles. 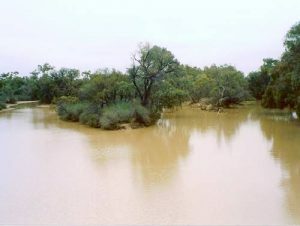 It is a series of waterholes, connected in wet weather as a running stream of the Darling catchment within the Murray-Darling basin. Paroo River is located in the South West region of Queensland and Far West region of New South Wales. Flinders River is the longest river in Queensland entirely. It length is 1,004 kilometers or 624 miles. It was named in honour of the explorer Matthew Flinders. Flinders River flow from Burra Range, Great Divide Range in North West Queensland and flows through the Gulf of Carpentaria in the west of Karumba. Diamantina River is one of the largest river in Australia. It is river located in Central West Queensland and the far south of South Australia at 941 kilometers or 584 miles. It has three major tributaries the Western River, Mayne River and Farras Creek. Diamantina River is part of Lake Eyre basin, flow from Swords Range through to Warburton River. Gascoyne River is the longest river in Western Australia at 834 kilometers or 518 miles. It has three sources, Collier Ranger in Three Rivers Station, middle Gascoyne River in west of Beyondie Lakes and south Gascoyne River near the Doolgunna homestead. It flow through directly to Indian Ocean near Shark Bay. Those are list of Australia’s longest river by length along with the states that the river flow through. Murray River, located in New South Wales, Victoria and South Australia, is the longest river in the Australia with total length of 2,375 kilometers. The list above is based on Wikipedia which is taken from Geoscience Australia data.